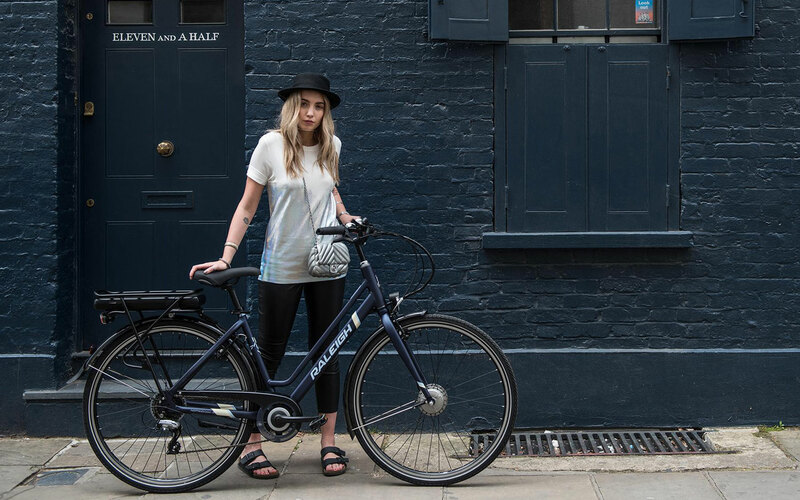 The Array is a popular all rounder entry level electric bike. 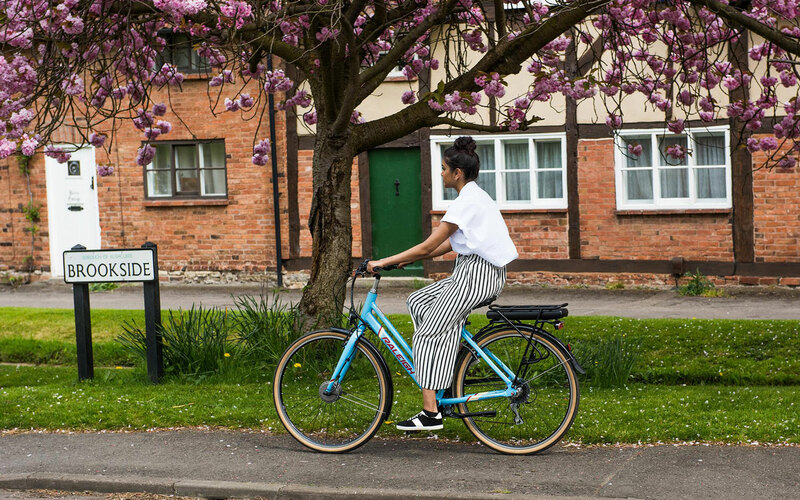 Easy to maintain, ride and live with, it's perfect for weekend exploring or every day commuting. 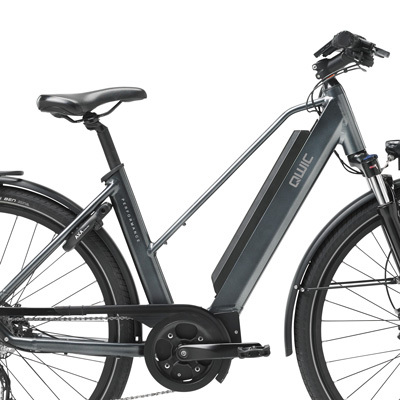 The integrated front motor provides 5 levels of assistance, drawing power from a 300Wh battery giving a healthy range of up to 50 miles. An optional hub gear system is available to protect the workings of the gear system, and give you a low-maintenance life! 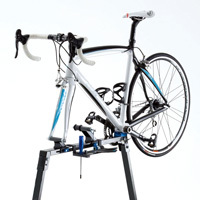 The high riding position is very comfortable and gives excellent control and balance over the bike. The removable battery is located over the rear pannier carrier. 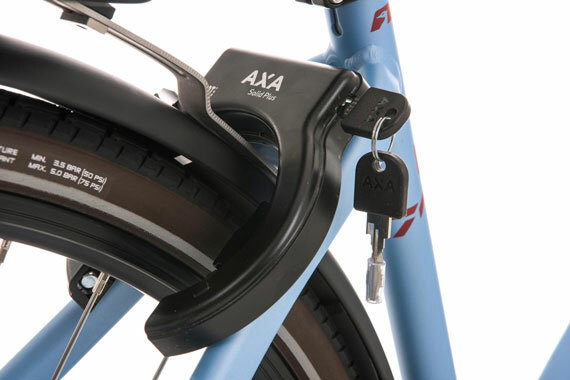 The bike is fitted with rear and front mudguards as well as front and rear lights. 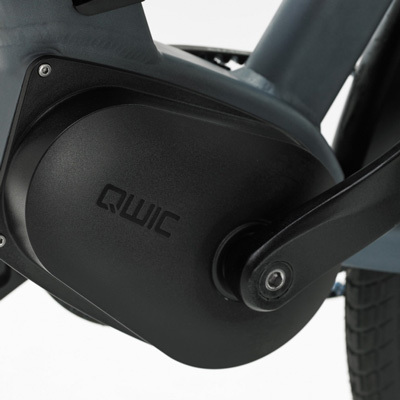 The low-step Comfort frame allows easier mounting of the bike and continues to be a favourite for those new to electric bikes. 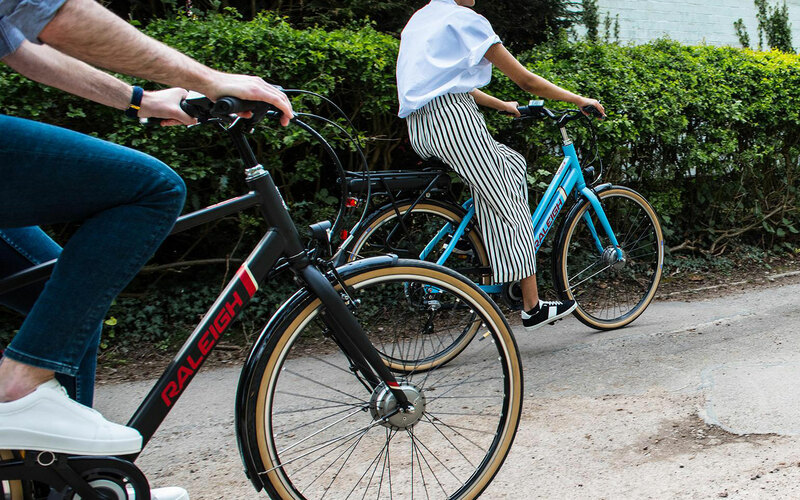 The Raleigh Array series offer an affordable entry in the world of electric bikes. 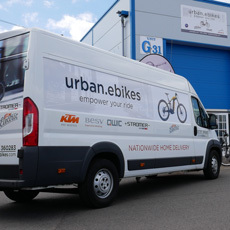 Available in comfort and sport versions with a range of attractive colours, the Array is an attractive bike that provides good riding position and power delivery. 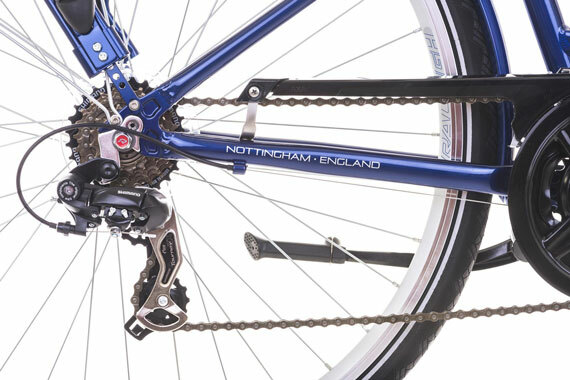 The front mounted motor is small and silent, and gives you that extra distance without you ever realising! 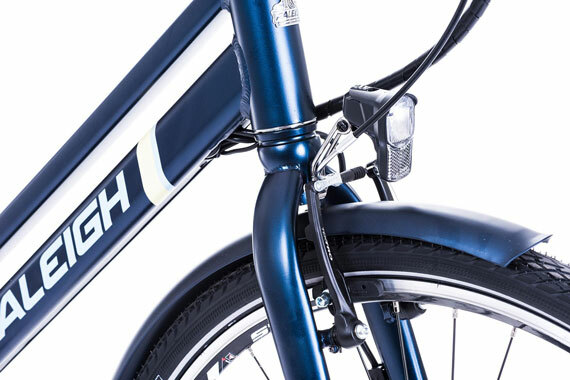 The front motor will pull you along, leaving you to pedal the rear wheel like a traditional bicycle. This makes it an excellent first electric bike due to it's familiarity. Integrated front and rear lights give you consistent lighting. Double walled wheel rims house puncture resistant CST Zeppelin tyres. Designed especially for electric bikes, they include reflective strips to give extra visibility to other road users. 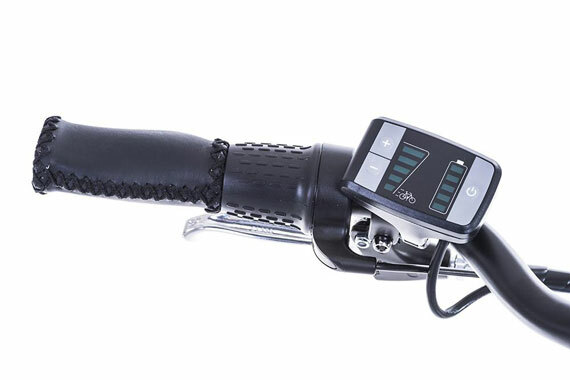 The Emotion control panel is located near the left handlebar for easy control over the motor assistance level, as well as the current battery level. There's even a walk mode, which gives you a bit of assistance when walking with the bike! 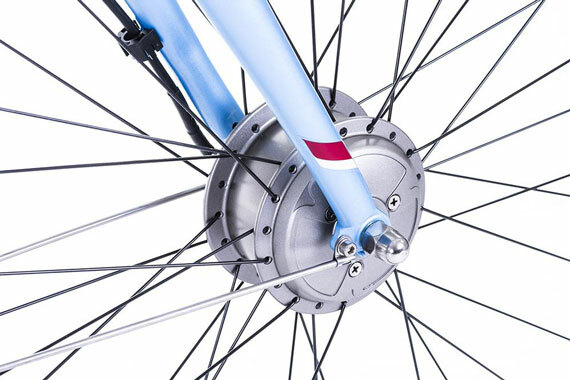 The Shimano Acera 7 speed Derailleur give easy gear changes with the twist controls. 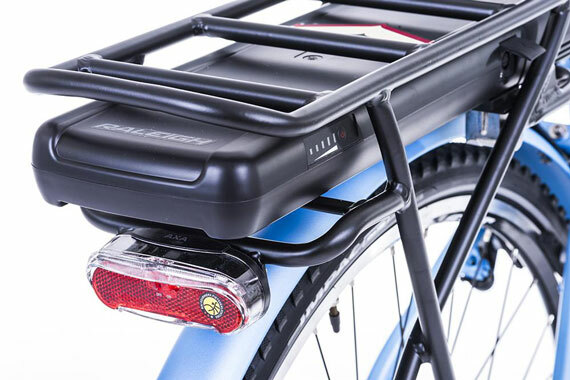 Array comes equipped with kickstand, mudguards, front and rear lights and pannier rack. The Array combines UK design with European build quality. A 300Wh battery gives a range of up to 50 miles on the lowest setting, and up to 30 Miles on the highest setting. The battery can be easily removed fro charging at the office desk or in a cafe, and is seated underneath a rear Pannier for additional storage and carrying space. 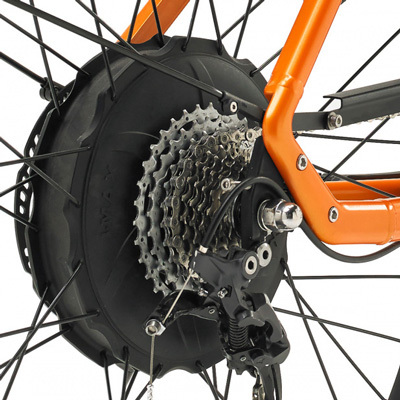 The Hub Gear system is available as an optional extra, and provides protection from water, grease and dirt for a maintenance free life! 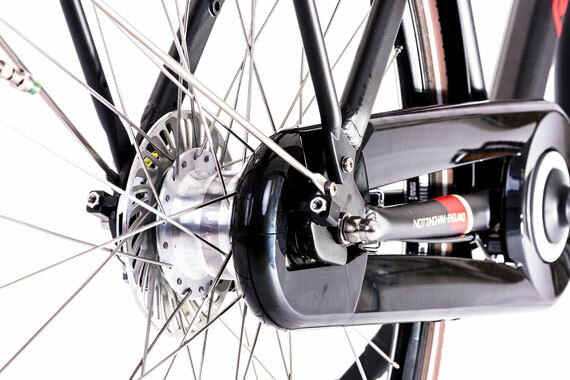 This also includes a nifty rear wheel lock which is integrated into the bike - perfect for the peace of mind while you nip into the shops somewhere.